Note: only the Admin can see the Admin tab. The Standard User that logs in will not have access to this tab. The Admin can invite workers to use the system via the “Admin” tab, “Manage Workers” sub tab. The Admin also reviews and approves time entries and weekly timesheets before those entries sync to QuickBooks. On the “Overview” Sub tab of the “Admin Tab,” you can fill out your company information. When you created your company in QuickBooks any information you entered there would show up in this view. You can set the date format. If you are a European Users, for instance, you can set a European date format here. Select your Time Zone. The time zone is used for the time entry. The “start” and “end” times are based on time zone. “Enable” or “Disable” your Custom Customer IDs. If you have a special numbering system you use to identify your company’s customers, and you want to set it yourself, then you would select “Enabled.” You can create Customers in QuickBooks (you synced the over to Time Tracker during set up), and you can also create Customers in Time Tracker. 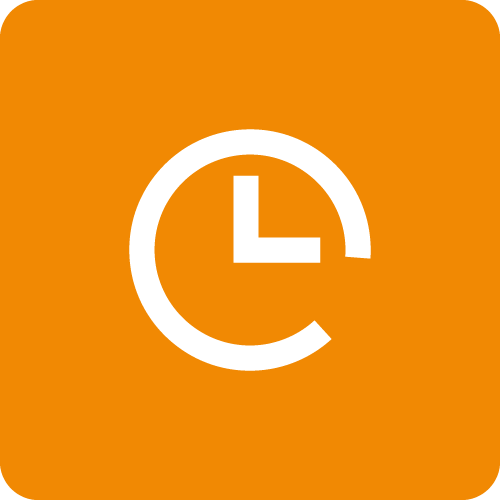 If you create a Customer in Time Tracker then you would enter your custom ID there. Whatever you select, click “Save” when you have made your changes. On the “Manage Workers” tab of the “Admin Tab” you set up workers to enter time in the system. You must enter email addresses for each worker who will log time. And you must click the “Invite” buttons to send them invitations. Until a worker accepts their invite, you will see “(Invited)” next to their name in the list. If for some reason the Worker doesn’t receive the invite, you can click the “Reinvite” button on this screen to send them a new invitation. Note: If you ever want to remove a Worker’s access to the system, just click the “Uninvite” button next to their name in the list. On the “Time” sub tab of the “Admin” tab, you set time rounding increments. For example, if you selected 6 Minutes as the rounding increment, then you clicked the timer for 6 minutes and 10 seconds, the entry would round up to 12 minutes. You’ll see when we use the timer on the time entry form, the timer will automatically round up in the increment we set on this page. Go to the Dashboard tab, Weekly Time Entry sub tab.